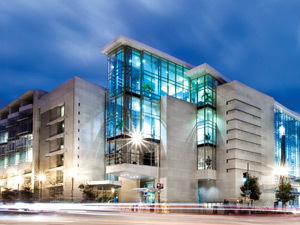 The 14th annual Mizuno Capitol Hill Volleyball Classic returns to the Walter E. Washington Convention Center in 2020. The Classic is a qualifier style volleyball tournament that provides an elite and competitive opportunity for over 950 USAV junior girls’ volleyball teams. With over 14,000 athletes and coaches, plus 89,000 total attendees, The Classic is the largest girls’ volleyball club tournament in the country on Presidents' Day weekend and one of the largest single weekend volleyball tournaments nationwide. In its 14th year of operation, the tournament will host 3,600 matches on 122 courts, and will have multiple sponsorship categories in its Marketplace. In addition to the tournament, The Classic is partnering with PrepVolleyball.com to offer the PrepVolleyball.com Unsigned Showcase for athletes classes. The Unsigned Showcase provides an opportunity for Capitol Hill Classic participants to showcase their talents in front of dozens (if not hundreds) or college coaches in an intimate and low-impact environment on Friday evening before The Classic begins. To celebrate the tournament’s 14th anniversary, The Classic will partner with Destination DC and the American Experience Foundation to host the second Destination DC Capitol Hill Volleyball Member Tournament, which provides 250 Destination DC members (hotels, attractions, restaurants, tour guides and operators, DMCs, and other tourism and convention related service partners) the opportunity to celebrate the success of The Classic through friendly competition with hospitality industry colleagues.